Photo by @EdTechnocation on Twitter. On Saturday, Sacred Hearts Academy hosted and co-sponsored the 3rd Annual iTeach808 with the Augustine Educational Foundation. 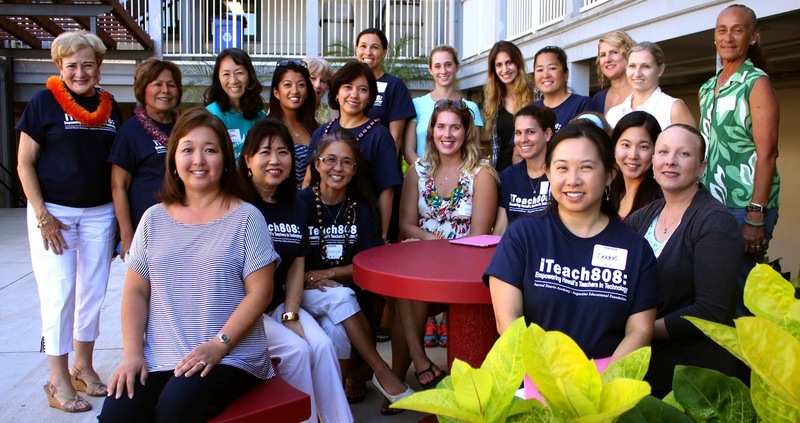 The iTeach808 workshops are geared to teach the teachers how to use technology in their classrooms. There were four technology workshops; they were, iPad Tips and Tricks, iPad Apps, Google Classroom Workflow and App Smashing, and Early Childhood Education. The attendees pre-registered for the event and all sessions were filled weeks prior to iTeach808 taking place. Hand-on experiences with Apps like Tellagami and Notabilty provided the teachers with ideas on how iPad Apps can be integrated into the learning environment. iTeach808 coordinator, Laurel Oshiro, created a short video using her iPad, iMovie App and iPad camera footage taken during the workshops to demonstrate how simple technology can be. Laurel is also the Library Media Specialist and mentors the Digital Media Club for the Sacred Hearts Academy Lower School. Tweeters updated their Twitter communities with live commentary and photos of the activities. 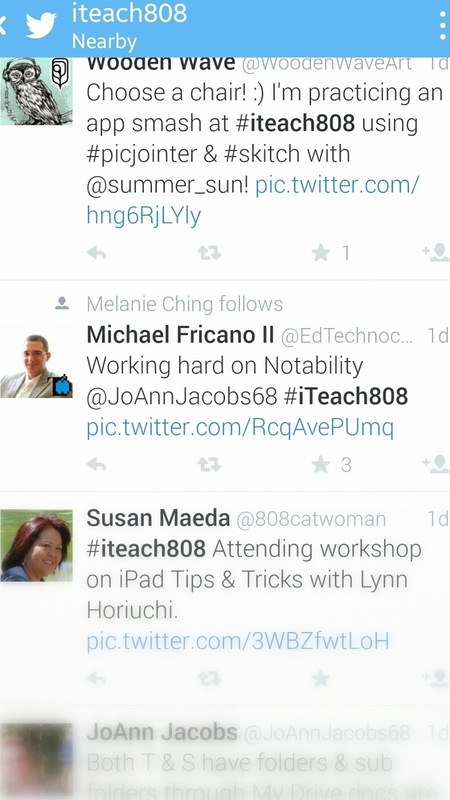 Twitter users could follow the event by the use of the #iTeach808 hashtag. Some people who were not able to attend the workshops were able to engage in conversations about the topics that were covered by using Twitter and searching this hashtag. 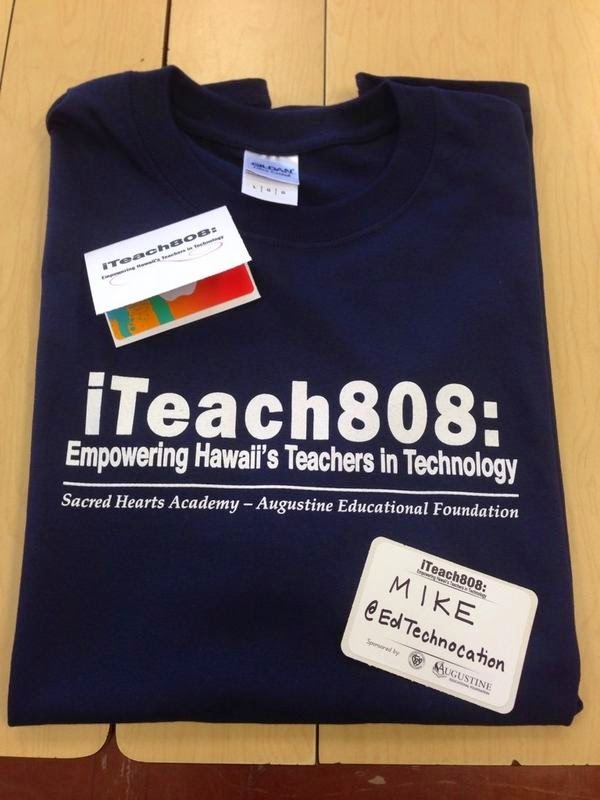 "Like" the iTeach808 Facebook Page for technology tips and announcements of future workshops. Thank you, to all of the attendees and sponsors, Sacred Hearts Academy and Augustine Educational Foundation, for making iTeach808 a successful learning experience!